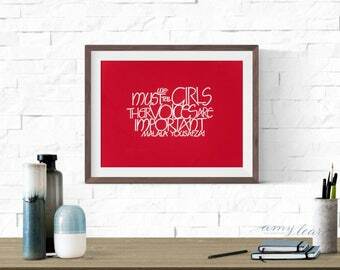 Fine Art Print: Important Voices (Malala Yousafzai). Calligraphy, hand lettered watercolor quote, red with white lettering. 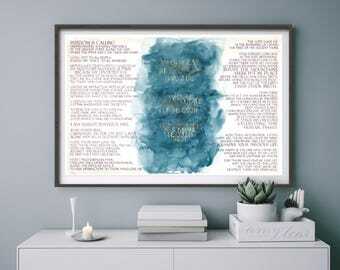 Fine Art Print: Wisdom, She Cries (Proverbs 8). Calligraphy, hand lettered watercolor artwork, with gold and peacock blue. Announcement Modern and traditional script calligraphy for your home, gifts, weddings and events. Have a custom piece created to showcase your personal taste in your home. 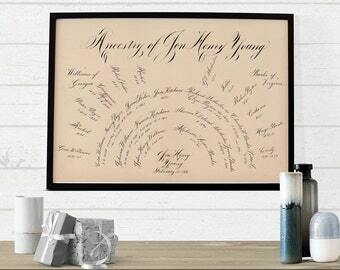 Modern and traditional script calligraphy for your home, gifts, weddings and events. Have a custom piece created to showcase your personal taste in your home. Art Print: Drawn Swords. 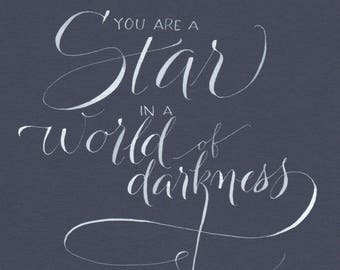 | Calligraphy, landscape, hand lettering, watercolor. Fine Art Print: The Fire of the Spirit. Calligraphy, hand lettered watercolor quote, blue and white art. Smaller sizes available. 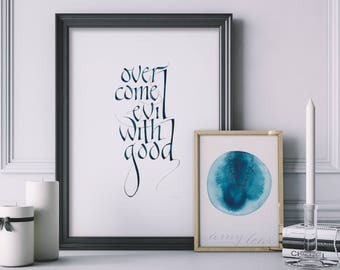 Fine Art Print: "Overcome" Calligraphy, hand lettered watercolor quote, white with blue lettering. 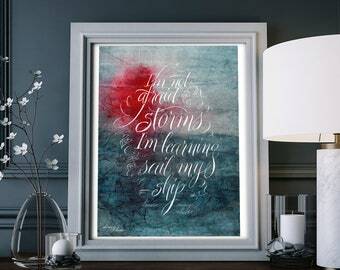 Fine Art Print: Untold Story (Maya Angelou). Calligraphy, hand lettered watercolor quote, red with white lettering. Amy was absolutely wonderful to work with. I would not hesitate to use her again if I ever need a calligrapher. I had a very specific idea of what I wanted for our ketubah, and she was incredibly patient with me, despite the months-long process and my anxiety about ordering something sight-unseen. The ketubah itself was just exquisite, the lettering divine, on the most gorgeous thick and creamy paper with deckled edges. 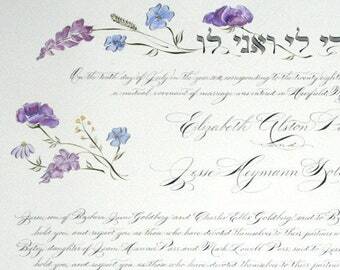 Many people told us at the wedding that it was the most beautiful ketubah they had ever seen. We are so thrilled with it and can't wait to have it framed - it's going to be a permanent fixture in our home, which we will proudly display. Thank you, Amy! Amy, I absolutely love the Wine tags!!!! Our wedding tables were gorgeous and our guests loved the personal touch. Thank you so much! Sumi ink and oblique pen and nib. Some sketches with autumn watercolors. Most people I talk to are quite curious that someone would be a professional calligrapher. It is, after all, the profession of Monks. 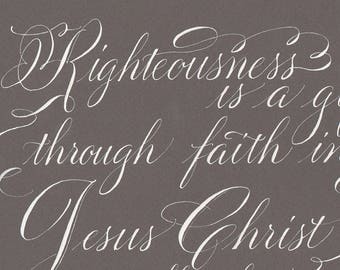 However, the quiet repetition that is inherent in learning calligraphy gives me so much joy -- seeing the beauty of the words and images that flow from my pen. As I've refined my skill over the years, I've learned that the more disciplined I am in my practice, the more freedom I have in creative expression. This is an apparent contradiction; however, I have to train my hand the way an athlete or a dancer would train their body so that I can be satisfied with my work. This shines through my custom work for my clients, and my personal art projects. Over the past decade, I have been fortunate to see my work featured by Martha Stewart's "Bride's Guide" blog and on display at the Wally Workman Gallery, the Austin-Bergstrom International Airport and Austin Public Libraries. Throughout her life, Amy has felt the need to create. This has meant helping her Papa build furniture as a teen, decorating wedding cakes while in college and creating calligraphy, which she's been doing for over ten years. Wife and mother of four. FinerWorks prints high quality, archival quality art prints. 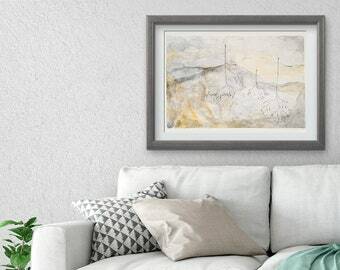 FinerWorks produces the giclee (“zhee-clay”) print on fine art papers. 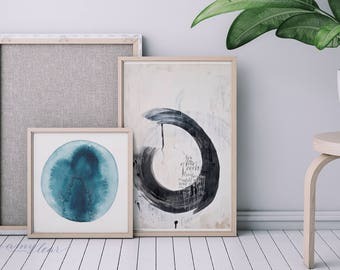 Giclee is a term coined in the fine art print industry to refer the digital inkjet process which uses high end printers with archival grade inks and media. This company provides the manufacture of products from scans of my artwork. Access. You may have the right to access and receive a copy of the personal information I hold about you by contacting me via Etsy.